Here is one that you will make over and over again. Guinness Beer Sauce For Grilled Ribeye Steaks. These flavors are wonderful in this recipe. The sauce makes the steak tender and still juicy even when it's over cooked. Give it a try. 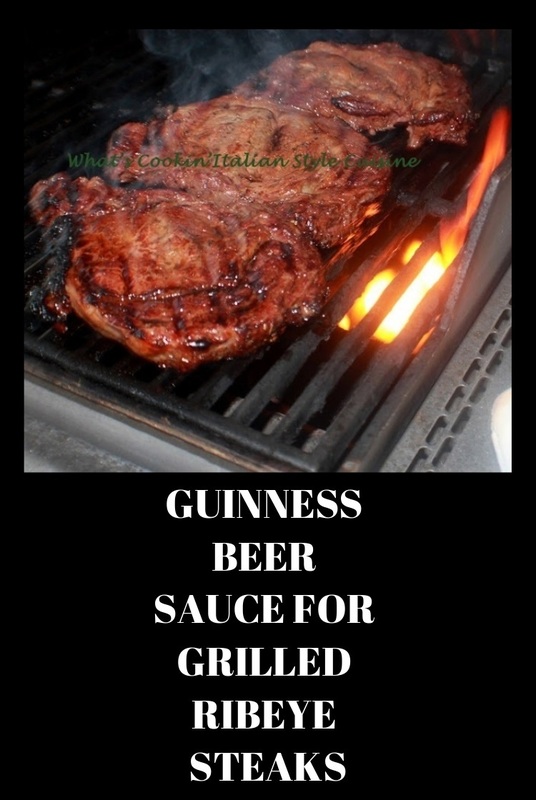 Guinness is a great marinade! Seriously, this is one delicious marinade just in time for St. Patrick's Day. Of course if you have to have your corned beef not steak then go ahead and make my slow cooker corned beef in Guinness from last years post. This is sure a nice option if your not a corned beef lover. Here is one that you will make over and over again. 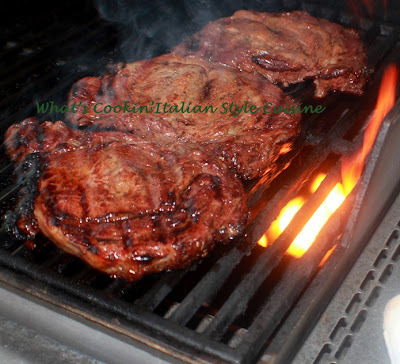 The flavors are wonderful and make the steak tender and still juicy even when it's over cooked. Give it a try. Place steaks in a large zip lock bag with all the rest if the ingredients. I marinate this overnight, or if you work, get it going for marinating in the morning and it's ready after 8 hours. 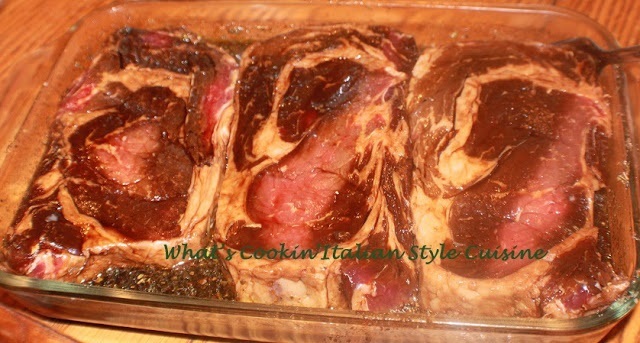 Take the steaks out of the marinade and save 1 cup placing in a small saucepan (2 cups if doubling) throw the rest away. Preheat your grill and cook your steaks by your own preference. We like them medium so it's around 7 minutes on each side. In the meantime boil the reserved marinade in the saucepan and reduced in half 7 to 10 minutes. Use to dip you steak in or pour on top of each one. Oh, man, overnight in that ziplock bag in all that goodliness!! Expect ecstasy! Beautiful, luv! What a flavorful mix, I can imagine guiness pairing well. Great flavors in the sauce, molasses, rosemary, all great supporting actors to that Guinness! Ooooh! I've got to try this... 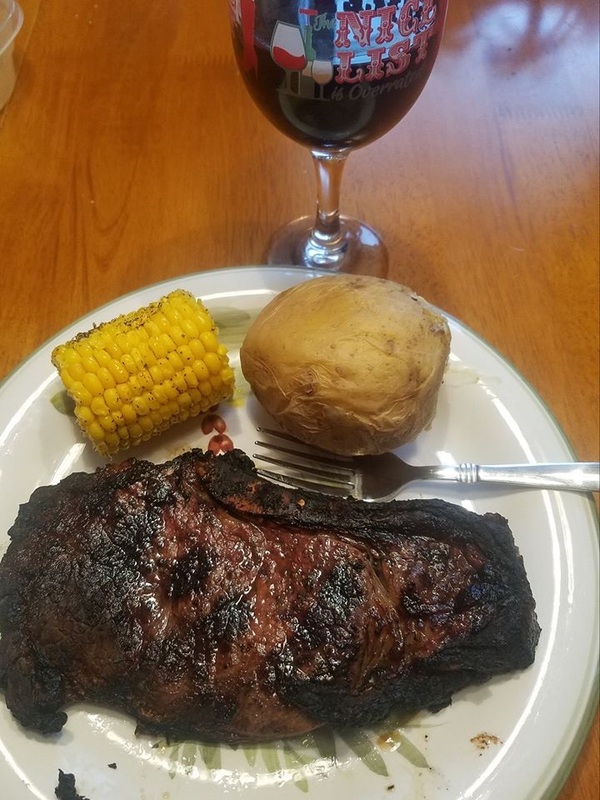 It'll take our next steak dinner over the top. LOVE the addition of spicy peppers! This looks wonderful! I'm making ribeyes for the family for our annual Fourth of July cookout and I cannot wait to use this sauce! Thank you so much for the recipe. Wow, I cannot wait to try this. I love to grill, and I am always looking for new sauces to grill with. Thank you so much for this recipe!